An Italian adventure. Enjoy a wonderful break in one of Tuscany’s most celebrated spa resorts. 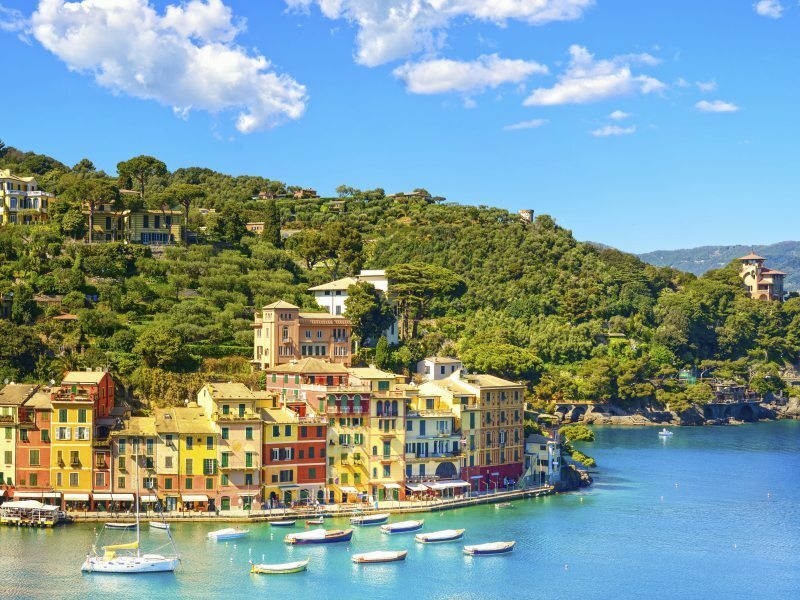 Discover Santa Margherita, exclusive Portofino, exquisite Pisa, and Florence – breathtaking Cradle of the Renaissance and home to Michelangelo’s David. Flights also available from airports in England – Bournemouth, Bristol, Cornwall Newquay, Durham Tees Valley, East Midlands, Humberside, Leeds Bradford, Gatwick, Luton, Stansted, Manchester, Newcastle & Norwich- click here for more information on dates & prices. Today you’re free to get to know the hotel and the many treasures of this historic spa resort, perhaps paying a first visit to Montecatini Alto for its stunning views. Discover the beautiful Ligurian coast, where some of Italy’s most famous resorts are dotted along the shoreline. Explore elegant Santa Margherita Ligure, which overlooks a stunning bay, before enjoying a boat trip along the coast to its ultra-chic neighbour, Portofino, for a taste of “la dolce vita”. Today, see the Italian gems of Pisa and Lucca. Discover Pisa’s medieval delights – the famous ‘leaning tower’, circular Baptistery and mighty Duomo – on a guided tour before we continue to the elegant walled city of Lucca. Here the medieval clock tower, the Torre delle Ore, and the exquisite Piazza Anfiteatro are just some of the must-see sights. The magnificent Florentine skyline, dominated by the dome of the Cathedral of Santa Maria del Fiore greets you on today’s excursion. Explore the splendour of Santa Croce and the medieval Ponte Vecchio, discover Italy’s artistic past in the Accademia or the Uffizi (payable locally), and watch the world go by in one of the trattorie. On an optional excursion we’ll return to the Ligurian coast, heading to the Cinque Terre (Five Lands). This entrancing quintet of ancient villages is squeezed into a series of tiny coves surrounded by celebrated vineyards. Overlooked by working fishing harbours, the breathtaking villages produce some of Liguria’s most celebrated wines. Journey back to the airport and check in for your flight home. A delightful Tuscan spa resort, Montecatini Terme is close to many of the province’s greatest cities. As well as the spa baths, it boasts beautiful parks, countless eateries and bars. Above the main town, and reached by a historic funicular railway, medieval Montecatini Alto’s piazza and winding streets are lined with ancient churches and elegant palazzos.